The U.S. can and should remain strongly engaged internationally, because regional instability will not solve itself. 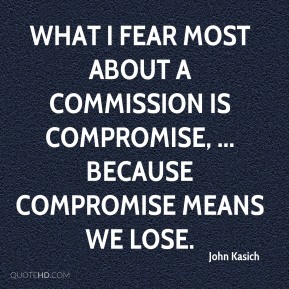 But we must choose our tools very carefully, for the stakes do not allow failure. 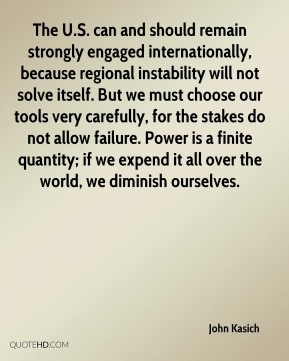 Power is a finite quantity; if we expend it all over the world, we diminish ourselves. 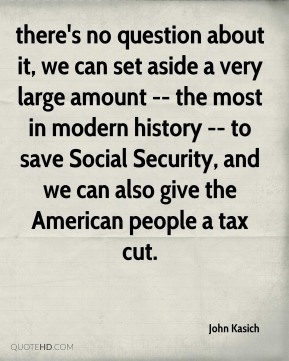 there's no question about it, we can set aside a very large amount -- the most in modern history -- to save Social Security, and we can also give the American people a tax cut. 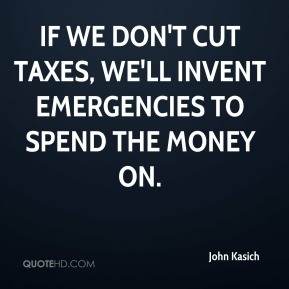 If we don't cut taxes, we'll invent emergencies to spend the money on. 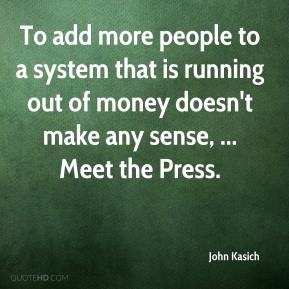 To add more people to a system that is running out of money doesn't make any sense, ... Meet the Press. 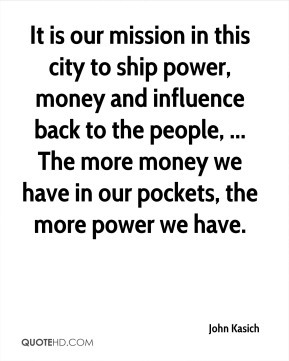 It is our mission in this city to ship power, money and influence back to the people, ... The more money we have in our pockets, the more power we have. 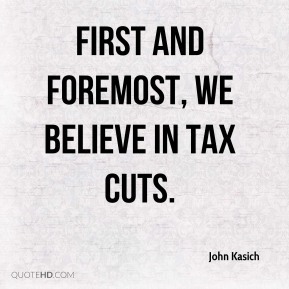 First and foremost, we believe in tax cuts. 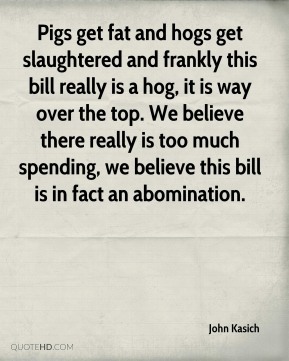 Pigs get fat and hogs get slaughtered and frankly this bill really is a hog, it is way over the top. 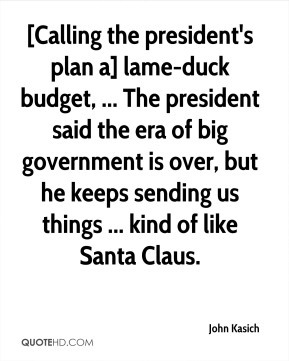 We believe there really is too much spending, we believe this bill is in fact an abomination. 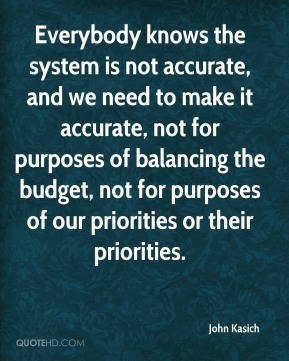 Everybody knows the system is not accurate, and we need to make it accurate, not for purposes of balancing the budget, not for purposes of our priorities or their priorities.